Sitefinity is a very popular CMS used by many business owners to build their websites that are feature rich and functional. The platform has come up with updated versions and many new features that has enhanced the performance of the website. Recently, the new Visual Studio extension for Sitefinity CMS has been announced to the users. Considering the feedback from the community, requests from the partners and clients to make the developer’s task easier, Sitefinity VSIX has been launched, which a Visual Studio extension is allowing the developers to create other Sitefinity related resources. The VSIX will help the Sitefiinity developers to quickly and easily build the projects and also implement other resources. 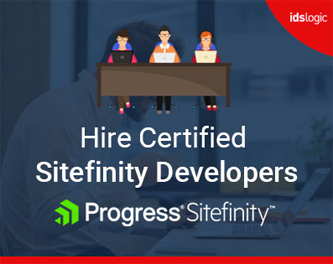 The extension is compatible with Microsoft Visual Studio 2015 and 2017 and is focused to allow the development of MVC templates and widgets as it is the prime choice for development in Sitefinity. Developers can also add model fields from Winforms UI, but it must be used with VS 2015 version. Else some of the functionalities might not work properly. They get a kick start by using the plugin when they use it the way it is recommended. The tool scaffolds the MVC templates and also takes care of the structure of the file during the implementation. This helps the programmers to spend more of their time in the execution of their business tasks. The request from the community forum was considered and the plugin is made open source so that developers can take a look at the code and observe that it is a wrapper of a tool called Sitefinity CLI. In case you want to modify or even extend the default built in VSIX features and functionalities, the open source code can be acquired from the GitHub repository by placing a pull request. With the VSIX launch, every developer will now be able to develop Sitefinity sites easily, whether they use the command line interface or use the UI representation. With this new release, many developers would be thinking about what is going on with Thunder. With the next launch of Sitefinity 11.0, the VSIX will be made as a default tool of Sitefinity, which means that with the latest version, you will have a new tool that will offer community support, extensibility and also Visual Studio 2017 compatibility. And for now, both VSIX and Thunder will live in harmony and if the developers are willing to use Thunder, then this will be possible with the 11.0 version. If the VSIX tool is integrated as the default and it is combined with some of the best practices of Sitefinity development, then there will be no need for thunder in the 11.0 version. Following the steps that are provided in the documentation will make things easier. 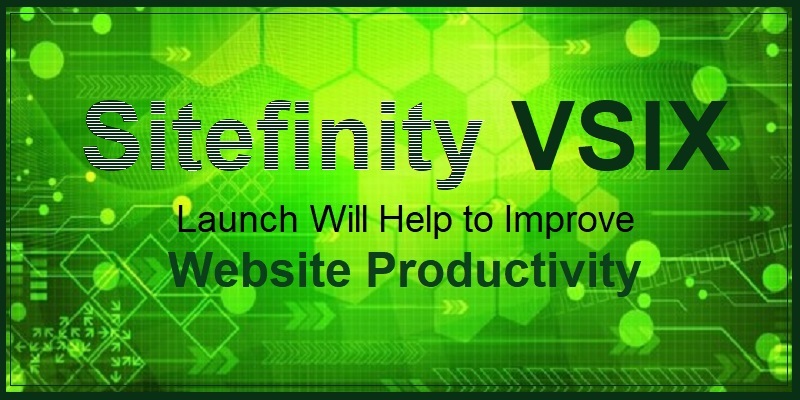 With the Sitefinity VSIX extension release, developers have started to adopt it from day one and the approach if followed by some best practices will help to drastically improve the performance and productivity of the site.